As they grew in confidence, Matt Ritchie and Schar were afforded the space to launch attacks down the wings. With Dubravka caught under a high cross, Boly climbed above him – briefly placing both arms on the Slovakian – and bundled the ball over the line. 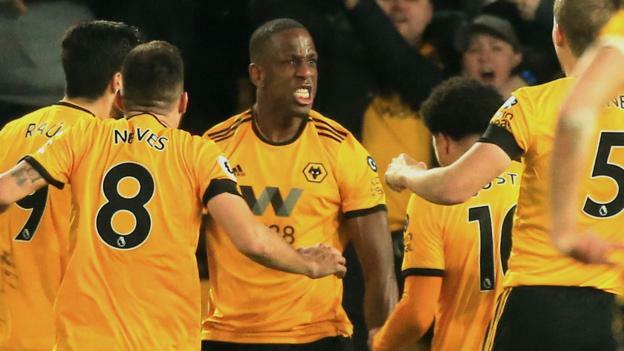 No side has scored more goals after 90 minutes than Wolves this term, who moved level on five with Manchester United and Cardiff on that front. On whether Boly fouled on the keeper:“I didn’t see the images yet. I will answer this question in the press conference of course. I don’t judge the work of the referees because it is so hard. The referees are so well prepared and must decide in a second. Wolves travel to Bristol city in the fifth round of the FA Cup on Sunday (13:00 GMT) before resuming Premier League duty at Bournemouth on Saturday, 23 February (15:00). Newcastle host Huddersfield in the Premier League on 23 February (15:00 GMT).